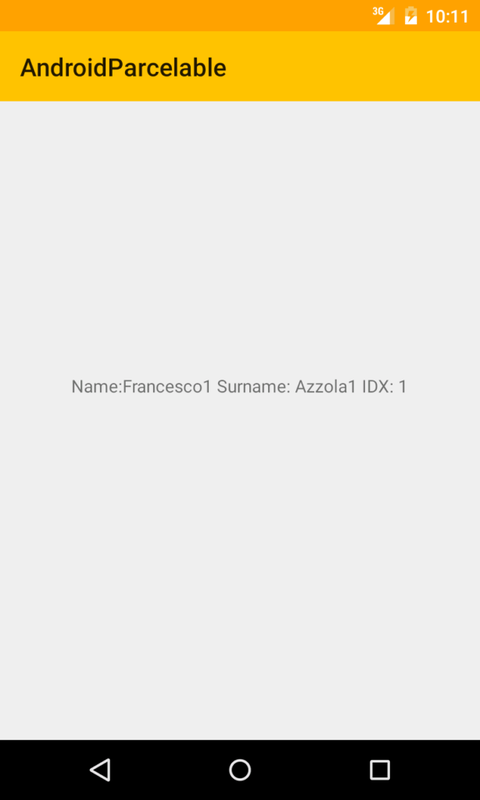 When we want to pass objects between two components in Android, these objects have to implements Android Parcelable interface.Parcelable Android is a serialization and deserialization mechanism as we are used in Java. This post describes how we can use Parcelable interface to pass objects between two Android Activity. 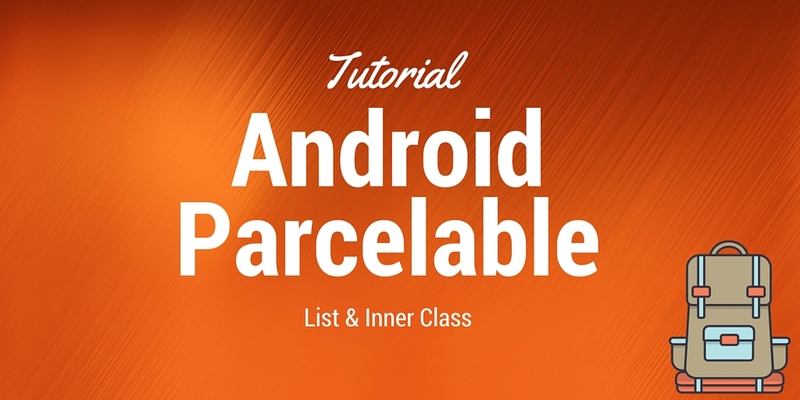 We talked about some basic concepts of Parcelable in Android, in this post we will analyse some more complex example and we will look how we can parcel a List of objects or parcel a class that contains inner class. Moreover, we have to provide Parcelable.Creator that is used to create an instance of the class from the Parcel data. As you can notice we have implemented all the requested method. So the android parcel operation is very simple because in the writeToParcel method we simply write all the class attributes and in the Parcel.Creator we read the parcel data. The creator calls a constructor passing Parcel object and here in the constructor we initialise the class attributes. By now, we used a simple example, now we want to create something more complex that uses Android parcelable. Instead using a simple class, we parcel a list of contact. 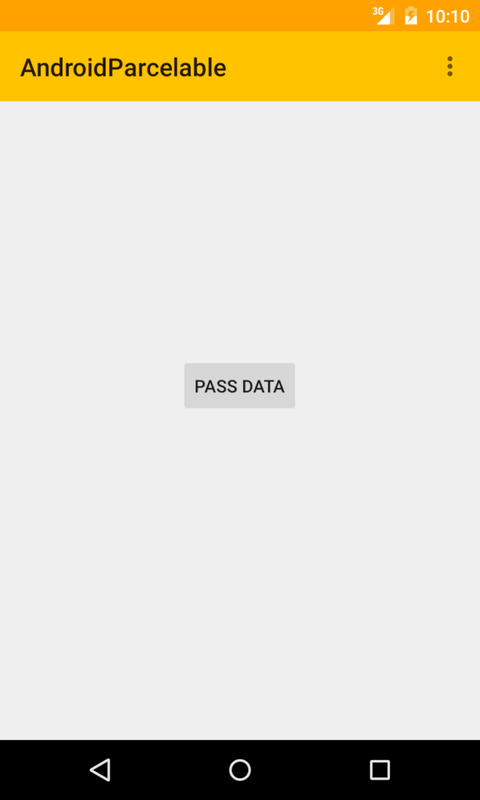 In this post, you gained a knowledge about android parcelable concept in android and how to use it to pass data. It's also recommended to make the Parcel constructor private so that only the CREATOR can use it.